Couture Bridal Photography is the number one Puerto Rico destination wedding photography studio! Call to book the top Puerto Rico destination wedding photography deals for your Destination wedding anywhere throughout Puerto Rico, Vieques and Culebra. Couture Bridal Photography is the top rated and trusted wedding photography studio for destination wedding photography with the lowest prices and incredible service. We are the islands most recognized wedding photographers for being featured and preferred at all of Puerto Rico's top destination wedding venues. 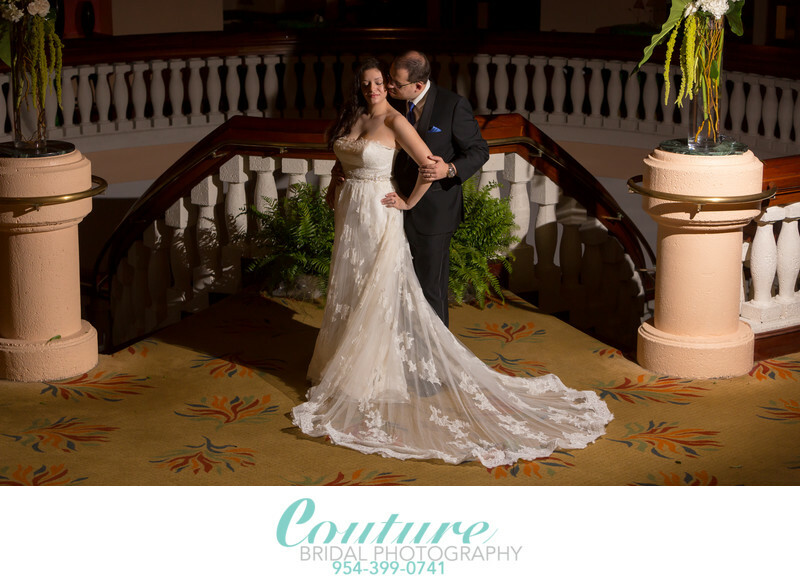 Couture Bridal Photography is an international award winning boutique luxury wedding photography studio based in Fort Lauderdale, Florida with a team of the top award winning and published Puerto Rico destination wedding photography specialists. More couples from around the world and United States hire and book the photographers at Couture Bridal Photography over any other for the most affordable and highest value fine art documentary destination wedding photography than any other in the World or Puerto Rico. We also have become the most trusted wedding photography studio for Puerto Rico destination weddings in Puerto Rico for offering the security and piece of mind only an established mainland wedding photography studio can offers with the fraud and crime committed on tourists and couples having destination weddings in Puerto Rico. The high crime rates and fraud committed on unsuspecting couples, brides and grooms planning weddings in Puerto Rico by fraudulent vendors is at an all time high now in Puerto Rico. Couture Bridal Photography is proving to be the only vendor providing destination wedding photography in and around Puerto Rico that is 100% trusted by popular destination weddings venues, hotels, resorts, brides and grooms. Many local Puerto Rico wedding photography vendors in Puerto Rico are being pressured to commit fraud and crime against couples booking destination weddings in Puerto Rico because of the economic issues that are plaguing the island and the increased living costs. Puerto Rico is also known as a haven for fraudsters advertising as legitimate wedding vendors who disappear with deposits or never deliver a finished product after being paid in full. Couture Bridal Photography being an established wedding photography studio in Florida automatically became the preferred and most trusted wedding photography studio throughout the island and created the top Puerto Rico Destination wedding photography deals to bring more couples to the island of Puerto Rico for weddings and provide the most spectacular destination wedding photography throughout Puerto Rico. Couture Bridal Photography and its team of professional wedding photographers are best described as specialists in capturing the most elegant, romantic and timeless wedding photography pictures of any wedding photography studio in Puerto Rico or serving Puerto Rico from around the world. The top Puerto Rico destination wedding photography deals include wedding photography by one photographer with a professional photography assistant anywhere on the island of Puerto Rico for two thousand and two hundred dollars ($2,200.00) which is an incredible savings over any local or mainland United States wedding photographer or studio. Additionally that low cost deal include every image completely edited and delivered via custom flash drive and personal online gallery for one (1) year. The most affordable Puerto Rico destination wedding photography deal also include a pre-wedding photography session the day before, full day wedding photography coverage, bridal boudoir session before the wedding day or during the brides getting ready portion of the wedding day, and day after portrait photography session where the bride and groom get dressed and we tour special historical and beautiful locations for artistic and spectacular photographs. No other wedding photographer in the Universe offers such an affordable, comprehensive and inclusive Puerto Rico Destination wedding photography deal, offer or incentive like Couture Bridal Photography. Couture Bridal Photography has become the preferred choice of every popular destination wedding resort, hotel and venue throughout Puerto Rico, Vieques and Culebra for the most affordable, high end, fine art destination wedding photography throughout the island with proven results and positive feedback from past brides and grooms who booked Couture Bridal Photography for their Puerto Rico destination wedding photography. Couture Bridal Photography was founded in 2008 by Alfredo Valentine, who is Puerto Rican and has family and close friends still living on the island. Alfredo is bilingual and familiar with every special and secret photography locations throughout the island of Puerto Rico. This is yet another reason why Couture Bridal Photography is the most popular destination wedding photography studio for weddings throughout the island. Couture Bridal Photography's other lead photographer Giovanni Gutierrez is of Cuban descent has visited the island numerous times and is also very familiar with all of Puerto Rico's hidden secret photography locations as well. Giovanni is also bilingual which is important when hiring a destination wedding photography studio for your wedding in Puerto Rico. The photographers at Couture Bridal Photography also utilized the best Canon cameras, lenses and lighting equipment to make the most of any scene anywhere during their Puerto Rico destination wedding assignments. Couture Bridal Photography typically books twelve to eighteen months in advance of Puerto Rico Destination weddings so call right now and book the top Puerto Rico Destination wedding photography deals now while they last! Location: 999 Ashford Avenue San Juan, PR 00907. Keywords: Bridal Portrait (120), Destination Wedding (27), Old San Juan (12), Puerto Rico (39), San Juan (33), Sheraton Old San Juan (9). 1/3200; f/4.5; ISO 1250; 70.0 mm.